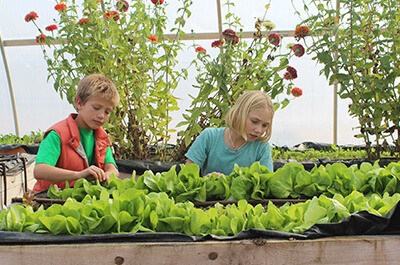 Among its various offerings, Ada Christian offers roughly 550 students a year an Integrated Outdoor Education. The program is freeing, project oriented and, at times, messy. Wonderfully messy. 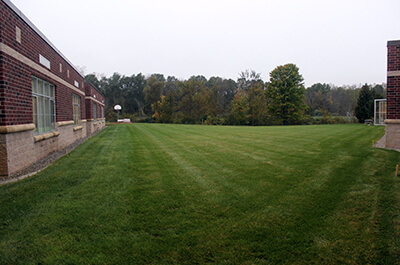 To help bring the outdoors in, and indoors out, the school approached AMDG. The result is a space that’s flexible, accommodating, and open to the wonders of nature. 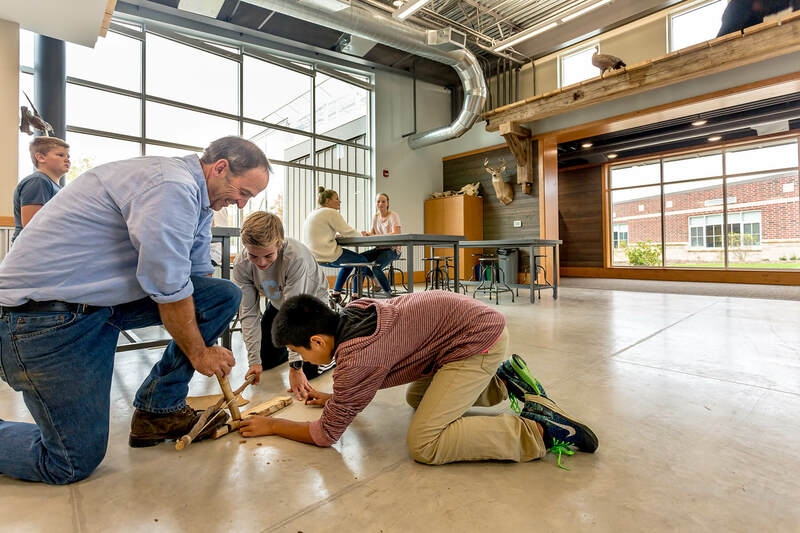 Located in the V shape created by Ada Christian’s existing buildings, the Integrated Outdoor Education exterior balances interior sightlines with outdoor learning opportunities. With desks pushed out of the way, projects are often conducted in the center of the room lending to a hands-on learning approach. 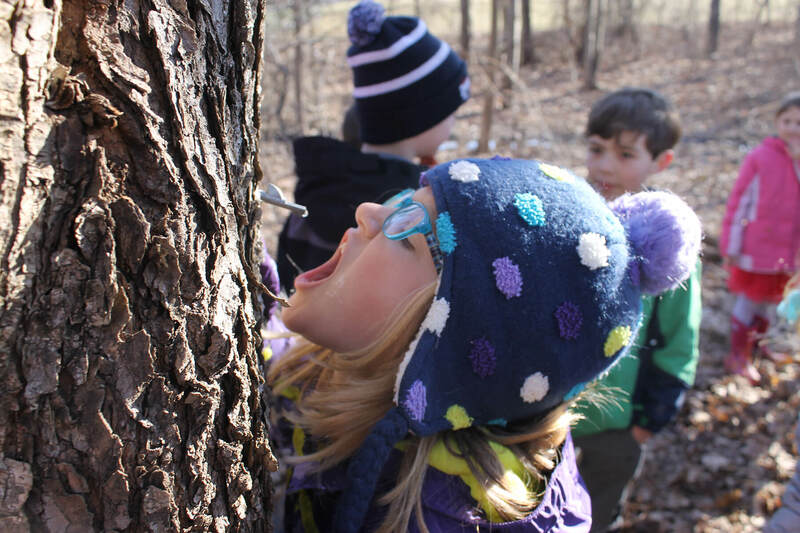 Supporting an outdoor curriculum means creating an environment that’s open, easy to reconfigure, and capable of being hosed off at a moment’s notice. 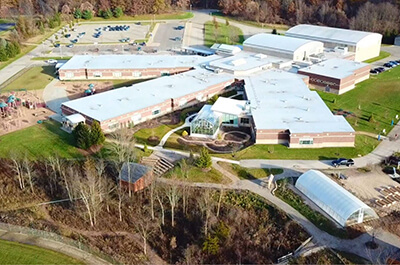 As a place for students to grow plants and understand their lifecycles, the greenhouse required thoughtful planning around irrigation, fertilizer injectors, sinks, and storage. Careful consideration went into how the Integrated Outdoor Education space transitioned into the existing building. Programmatically, and for better circulation of students, the media common space (also designed by AMDG) was the logical connecting point. The idea behind Ada Christian’s Integrated Outdoor Education Program is to serve students in ways typical classrooms cannot. 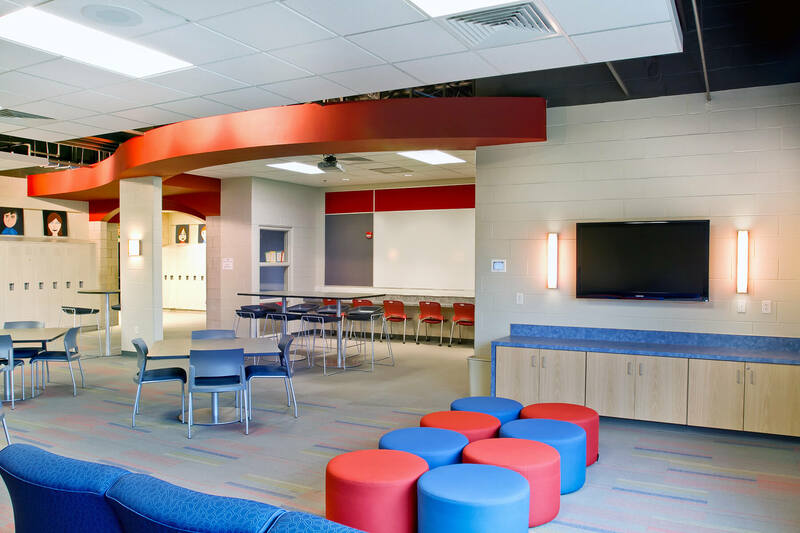 To create the space, AMDG worked closely with Dan Vos Construction to overcame a challenging timeline, while also minimizing disruption to students and staff by phasing the project around the school calendar. In many ways, the design/build process mirrors the outdoor curriculum: People coming together to explore, inquire, and discover what’s possible. In this case, it’s a space that opens the door to the outside world.